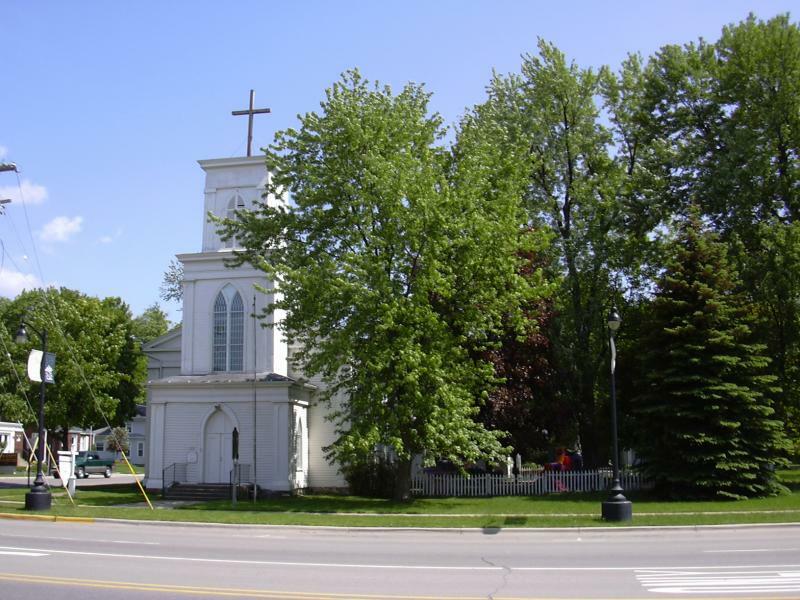 William N. Lyster, an Irish-born missionary and circuit rider preached in Jonesville in 1836 and two years later Darius Barker organized the parish. Construction began on the present church in 1844. The church, a combination of classical and Gothic styles, still has the original paneling and furniture made out of black walnut. It is on the National Register of Historic Places.